Marvel's Most Wanted, or simply Most Wanted, is an unaired American television pilot based on the Marvel Comics characters Bobbi Morse and Lance Hunter. It is set in the Marvel Cinematic Universe (MCU), sharing continuity with the films and other television series of the franchise, and is a spin-off from Marvel's Agents of S.H.I.E.L.D. The pilot was created and written by Jeffrey Bell and Paul Zbyszewski, and directed by Billy Gierhart. The pilot revolves around the characters of Bobbi Morse and Lance Hunter, ex-S.H.I.E.L.D. agents and ex-spouses on the run, with Adrianne Palicki and Nick Blood reprising their respective roles of Morse and Hunter from Agents of S.H.I.E.L.D.. Delroy Lindo, Fernanda Andrade, and Oded Fehr also starred in the pilot. A television series featuring Morse entered development for ABC Family in July 2011, but never materialized. The character subsequently appeared in the second season of Agents of S.H.I.E.L.D. along with Hunter, and plans for a spin-off centered on the duo, with Palicki and Blood attached, began in April 2015. The series would have been based on storylines occurring at the end of that second season, but ABC passed on the project. In August 2015, the series was reinvented as Most Wanted and received a pilot order from ABC. The cast was filled out in early 2016, and production was completed by late March. The episode was co-produced by ABC Studios and Marvel Television. In May 2016, ABC announced that it would not pick up the pilot to series, and would look to develop other series with Marvel instead. Ex-spies and ex-spouses Bobbi Morse and Lance Hunter are on the run trying to uncover a conspiracy against them. With no help from S.H.I.E.L.D., the peacekeeping and spy agency that previously employed them, they enter into an uneasy partnership with rogue adventurer Dominic Fortune and his niece Christina Santos. Hunter's ex-wife and a former agent of S.H.I.E.L.D., who Palicki felt "believes in the universe and things happening for a reason". Palicki knew of the comics version of the character, but said that the writers put "their own spin" on the MCU version. Morse's ex-husband, a former mercenary and agent of S.H.I.E.L.D., who is "a bit of an outsider ... not really sure where his loyalties lie" according to Blood, with Palicki adding that Hunter "believes that you make things happen yourself, and you get what you want when you want it." The character was not conceived as an adaptation of the Hunter from the comics, with that decision coming "a bit later". Delroy Lindo as Dominic Fortune: A "rogue adventurer with a wealth of resources" who agrees to protect Morse and Hunter. A "tough-as-nails woman of mystery" and Fortune's niece. She helps Fortune aide Morse and Hunter while furthering their own agenda. Santos has history with Hunter that would have been explored throughout the series, with Andrade adding that she also has "these really special skills. She just kind of knows how to work things, like weapons and cars." Oded Fehr as a "well-known character" from the comics, who exudes a "villainous charm" and is "a force to be reckoned with" for Morse and Hunter. At San Diego Comic-Con International 2011, head of Marvel Television Jeph Loeb announced the series Mockingbird was in development at ABC Family. The series, which was described as "Alias meets Felicity", would feature Bobbi Morse as a freshman science major at "a prestigious university in the Silicon Valley... [until h]er life changes when she is recruited by S.H.I.E.L.D. and is forced to become a student by day and a super spy by night." By March 2012, Mockingbird was still in development, with Loeb saying, "as with anything that you're doing, particularly when you're starting up a brand new entity [like Marvel Television], things take time and we want to make sure we get it right." 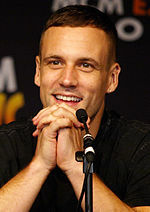 At San Diego Comic-Con International 2014, Morse was revealed to be appearing in the second season of Marvel's Agents of S.H.I.E.L.D., while Nick Blood was announced as cast in the role of Lance Hunter, a series regular for the season. In August 2014, Adrianne Palicki was cast as Morse in a guest role, and later promoted to series regular with the season two episode "Aftershocks". By April 2015, Marvel was developing a spin-off series focused on those characters with Agents of S.H.I.E.L.D. showrunner Jeffrey Bell and writer Paul Zbyszewski. The spin-off would be based on storylines occurring at the end of the second season of Agents of S.H.I.E.L.D., and would receive its own pilot rather than a backdoor pilot. Palicki and Blood were in final discussions to headline the potential new series, but ABC passed on the project by May 7, 2015, when they announced their series renewals, cancellations, and pickups. ABC entertainment president Paul Lee explained, "We thought the right thing now is to leave [Palicki and Blood] on S.H.I.E.L.D., because S.H.I.E.L.D. is so strong on [sic] the moment," though he did not rule out returning to the spin-off in the future. Blood and Palicki returned as principal cast members for the third season of Agents of S.H.I.E.L.D. In August 2015, the spin-off series received new life, reworked as Marvel's Most Wanted and given a pilot order. Bell and Zbyszewski were again developing the series, writing the pilot and executive producing. The pair were set to serve as showrunners for the series, if it was picked up. Loeb and Jim Chory were also attached as executive producers. The series would still focus on Morse and Hunter, with Palicki and Blood both attached, and was described as "a new take focusing on the same duo and their continuing adventures." In January 2016, Lee stated that the pilot was "absolutely" moving forward, praising the script and saying production would begin "in the next few months." In the Agents of S.H.I.E.L.D. episode "Parting Shot", the two characters were written off that series, having them leave and disavow S.H.I.E.L.D. Bell explained that Palicki and Blood had to leave to film the pilot, and "it didn't make sense" to have the story explain their absence for several episodes just to have the pair leave again soon after to begin production on the rest of Most Wanted if it was picked up to series. With S.H.I.E.L.D., there's more of a clear line between the good guys and the bad guys and between protocol and going off grid. Whereas in the Most Wanted world, it's all shades of gray and judgment calls have to be made. — Nick Blood on the different moral code of the spin-off. Bell compared Most Wanted to the Buffy the Vampire Slayer spin-off Angel, saying the series would be more intimate than Agents of S.H.I.E.L.D. because at the heart of the series would be the question, "What's the metaphor of the relationship that's going to dramatize over the course of the episode versus the larger machinations of the world that S.H.I.E.L.D. [is] in?" Palicki said the pilot is less based in Marvel mythology and more focused on the two characters, whose dynamic she compared to Mr. and Mrs. Smith. Blood added, "It's exploring how you make a relationship work with the backdrop of all this crazy stuff that goes on" in their world. Bell and Zbyszewski worked together on Morse and Hunter's storyline for the third season of Agents of S.H.I.E.L.D., preparing them to move over to the spin-off, with Bell explaining that it would set up Most Wanted by defining exactly who the characters are, such as Hunter and his lack of loyalty to S.H.I.E.L.D. and to ideologies—"nothing specific about the show, it's just who Hunter is." Blood noted that Hunter is "willing to ignore the rules and regulations to get the right thing done. Sometimes, Bobbi needs that kick up the backside to send her in that direction. By the same token, Hunter needs Bobbi's rationale sometimes to make sure he doesn't get in trouble again." Bell added that for Hunter, "laws are kind of suggestions, and if he's with them he'll follow them, and he's always been much more a loyalist to the guy in the trenches than to any ideology". Palicki remarked that the differences in the character's views and beliefs would be "a big through line throughout the entire show", and that having Morse and Hunter work for Fortune would test both of their morals, with Hunter having "a bit more experience with that, where the line to cross is a bit fluid. It might take Bobbi a bit more to adapt to that." Palicki also thought the pilot was "a little darker [and] grittier" than Agents of S.H.I.E.L.D. Adrianne Palicki and Nick Blood reprise their roles from Agents of S.H.I.E.L.D., Bobbi Morse and Lance Hunter respectively. In August 2015, Palicki and Blood were attached to Most Wanted with the pilot order, reprising their Agents of S.H.I.E.L.D. roles as Bobbi Morse and Lance Hunter, respectively. In January 2016, Delroy Lindo was cast as "rogue adventurer" Dominic Fortune. That March, Oded Fehr and Fernanda Andrade were also cast in the pilot, as a "well-known character" from the comics and Fortune's niece Christina Santos, respectively. Additionally, guest stars for the pilot include Mckenna Grace as Zoe Abel, Laura Allen as Olivia, and Damon Dayoub. Filming on the pilot took place in early 2016, with Billy Gierhart directing. Production began following that of the Agents of S.H.I.E.L.D. episode "Parting Shot", and was completed by late March. William O. Hunter, who worked on Marvel's The Avengers, served as production designer, with Christine Bieselin Clark as costume designer. On potential crossovers with Agents of S.H.I.E.L.D., Bell said in March 2016, in reference to the way Hunter and Morse were written off of that series, "We want to be clear we're telling a different type of story, and in doing so, you don't want to be telling a story where you go, "Why don't they call Coulson? He can fix this easily," because that line's been cut. Not that you can't bring them back someday or have someone from S.H.I.E.L.D. show up on this show, but it's really setting up a different [part of the] universe". Blood described the situation as "they're on their own, they can make up their own rules, just turn the phones on airplane mode and ignore the calls from back home". In April 2016, Most Wanted was seen to be "a no-brainer" for a series pick-up by industry insiders. However, in early May it was said to be "cooling" and "not considered the lock it once was". At that time, the producers were prepping "if-come" orders, "deals with writers that will come into effect in the event a pilot is picked [up] to series". On May 12, 2016, the pilot was passed on by ABC, with Lee's successor Channing Dungey explaining that Most Wanted "did not feel as strong as some of the other pilots that we shot. We talked about it with Marvel and we all came to an agreement that we want to figure out what the next show is that we do together, is something that we all feel is as creatively strong as it can be." However, Dungey said that ABC was open to the series being shopped to another network if Marvel found "another home" for it. Loeb also acknowledged this possibility, but said that the series was designed "to do a very specific thing" alongside S.H.I.E.L.D. on ABC. In June 2018, Loeb indicated that Marvel did not have the ability to release the pilot, as any potential release was controlled by ABC. ^ a b c "2016 ABC Pilots". Deadline Hollywood. February 22, 2016. Archived from the original on February 23, 2016. Retrieved February 22, 2016. ^ a b c d e "Oded Fehr and Fernanda Andrade Join 'Marvel's Most Wanted'". Marvel.com. March 25, 2016. Archived from the original on March 26, 2016. Retrieved March 25, 2016. ^ a b Khatchatourian, Maane (February 14, 2015). "'Agents of SHIELD' Promotes Adrianne Palicki to Series Regular". Variety. Archived from the original on February 15, 2015. Retrieved February 15, 2015. ^ a b c d e Abrams, Natalie (March 23, 2016). "Agents of S.H.I.E.L.D. 's Adrianne Palicki, Nick Blood on that emotional exit". Entertainment Weekly. Archived from the original on March 25, 2016. Retrieved March 25, 2016. ^ a b Abrams, Natalie (July 25, 2014). "Agents of S.H.I.E.L.D. Reveals New Characters, Carter Adds Captain Directors". TV Guide. Archived from the original on July 26, 2014. Retrieved July 25, 2014. ^ a b Andreeva, Nellie (January 26, 2016). "'Marvel's Most Wanted' ABC Pilot Casts Delroy Lindo As Dominic Fortune". Deadline Hollywood. Archived from the original on January 26, 2016. Retrieved January 27, 2016. ^ Huver, Scott (April 22, 2016). ""Marvel's Most Wanted" Co-Star Andrade Promises An "Unpredictable" Series". Comic Book Resources. Archived from the original on April 22, 2016. Retrieved April 22, 2016. ^ a b "Marvel's Most Wanted". MckennaGrace.com. May 3, 2016. Archived from the original on July 14, 2017. Retrieved July 14, 2017. ^ a b Frederick, Brittany. "Who directed Spider-Man: Homecoming?". Fansided. Archived from the original on July 14, 2017. Retrieved July 14, 2017. ^ a b Walsh, S.M. (June 6, 2016). "'Stitchers' Season 3: Meet the Cast". Heavy.com. Archived from the original on July 14, 2017. Retrieved July 14, 2017. ^ Daniels, Hunter (July 23, 2011). "Comic-Con: Marvel TV Announces Development Slate; Includes Live-Action AKA Jessica Jones (Alias), The Hulk, Cloak And Dagger, Mockingbird, Animated Hulk And The Agents Of S.M.A.S.H., More". Collider. Archived from the original on August 22, 2015. Retrieved August 22, 2015. ^ Radish, Christina (March 20, 2012). "Head of Marvel Television Jeph Loeb Gives Updates on The Incredible Hulk, AKA Jessica Jones and The Punisher TV Series". Collider. Archived from the original on August 22, 2015. Retrieved August 22, 2015. ^ Goldberg, Lesley (August 19, 2014). "'Agents of SHIELD' Enlists Adrianne Palicki as Marvel Favorite (Exclusive)". The Hollywood Reporter. Archived from the original on September 24, 2014. Retrieved August 19, 2014. ^ "Declassifying Marvel's Agents of S.H.I.E.L.D. : Aftershocks". Marvel.com. February 13, 2015. Archived from the original on February 13, 2015. Retrieved February 13, 2015. ^ Hibberd, James (April 9, 2015). "Marvel developing Agents of S.H.I.E.L.D. spinoff for ABC – exclusive". Entertainment Weekly. Archived from the original on April 9, 2015. Retrieved April 9, 2015. ^ Andreeva, Nellie (April 20, 2015). "Adrianne Palick & Nick Blood Eyed To Topline Agents of S.H.I.E.L.D. Spinoff". Deadline Hollywood. Archived from the original on April 21, 2015. Retrieved April 20, 2015. ^ Andreeva, Nellie (May 7, 2015). "'Agents Of S.H.I.E.L.D.' Spinoff Not Going Forward At ABC". Deadline Hollywood. Archived from the original on May 8, 2015. Retrieved May 8, 2015. ^ Hibberd, James; Abrams, Natalie (May 12, 2015). "Why ABC didn't make the Agents of SHIELD spinoff". Entertainment Weekly. Archived from the original on May 12, 2015. Retrieved May 12, 2015. ^ Lovett, Jaimie (May 12, 2015). "Agents Of S.H.I.E.L.D. Season 3 Synopsis Revealed". Comicbook.com. Archived from the original on May 12, 2015. Retrieved May 13, 2015. ^ a b c Goldberg, Lesley (August 20, 2015). "Adrianne Palicki, Nick Blood to Star in Marvel Pilot for ABC". The Hollywood Reporter. Archived from the original on August 21, 2015. Retrieved August 21, 2015. ^ a b c Wagmeister, Elizabeth (August 20, 2015). "Marvel's Mockingbird Series Starring Adrianne Palicki Lands ABC Pilot Order (EXCLUSIVE)". Variety. Archived from the original on August 21, 2015. Retrieved August 21, 2015. ^ a b Schwartz, Terri (January 9, 2016). "Marvel's Most Wanted Going to Pilot at ABC". IGN. Archived from the original on January 10, 2016. Retrieved January 10, 2016. ^ a b c d e Schwartz, Terri (March 22, 2016). "Agents of SHIELD EP Jeff Bell on Mockingbird and Hunter Departure and Marvel's Most Wanted". IGN. Archived from the original on March 23, 2016. Retrieved March 23, 2016. ^ Schwartz, Terri (January 9, 2016). "Agents of SHIELD Showrunners Explain Marvel's Most Wanted Spinoff Plan". IGN. Archived from the original on January 10, 2016. Retrieved January 10, 2016. ^ a b Lovett, Jamie (October 27, 2015). "EXCLUSIVE Agents Of S.H.I.E.L.D. EP Talks Secret Warriors, Civil War, Last Week's Shocking Death & More". ComicBook.com. Archived from the original on October 27, 2015. Retrieved October 28, 2015. ^ a b Bucksbaum, Sydney (March 18, 2016). "How Will 'Agents of SHIELD' Set Up Spinoff 'Marvel's Most Wanted'?". The Hollywood Reporter. Archived from the original on August 20, 2016. Retrieved August 20, 2016. ^ Mitovitch, Matt Webb (January 2, 2019). "The Orville's Adrianne Palicki Teases One of Her Greatest Challenges, Shares S.H.I.E.L.D. Encore Wish". TVLine. Archived from the original on January 5, 2019. Retrieved January 5, 2019. ^ Carinacas, Peter (February 17, 2016). "Artisans Booked on 'Marvel's Most Wanted,' 'Pearl,' 'Dirty Dancing' and 'Stronger'". Variety. Archived from the original on July 14, 2017. Retrieved July 14, 2017. ^ Carinacas, Peter (March 15, 2016). "Agencies Book Artisans on 'Thor: Ragnarok,' 'Sugar Queen,' 'Chagrin Falls' and 'Bunker Hill'". Variety. Archived from the original on March 20, 2016. Retrieved March 20, 2016. ^ Andreeva, Nellie (April 29, 2016). "PILOTS 2016: Pre-Screenings Buzz Edition". Deadline Hollywood. Archived from the original on August 20, 2016. Retrieved August 20, 2016. ^ Goldberg, Leslie (May 2, 2016). "10 TV Pilots Likely to Score Series Pickups". The Hollywood Reporter. Archived from the original on August 20, 2016. Retrieved August 20, 2016. ^ Andreeva, Nellie (May 10, 2016). "'Time After Time' Among Pilots Making Tentative Writers Deals As Field Narrows". Deadline Hollywood. Archived from the original on August 20, 2016. Retrieved August 20, 2016. ^ Topel, Fred (August 4, 2016). "Why ABC Passed on 'Marvel's Most Wanted' and 'Agent Carter' Season 3 [TCA 2016]". /Film. Archived from the original on August 5, 2016. Retrieved August 6, 2016. ^ Topel, Fred (August 8, 2016). "Marvel TV's Jeph Loeb on Fox's "Reimagined" 'Hellfire Club' Series, 'Cloak and Dagger', and More [TCA 2016]". /Film. Archived from the original on August 9, 2016. Retrieved August 9, 2016. ^ Arrant, Chris (June 7, 2018). "Marvel TV Head Gives Updates on New Warriors, John Ridley Project". Newsarama. Archived from the original on June 8, 2018. Retrieved June 8, 2018.